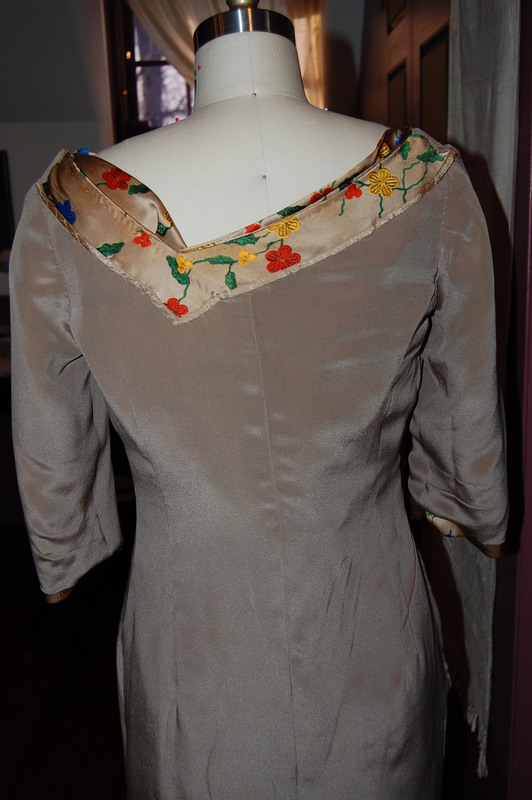 This photo shows the loose lining and also the back neckline. Ordinarily, in couture sewing, facings are reliminated. However, in this case, knowing that the weight of the drape would be added to the back neck, I chose to use the facing for more stability. I finished its edge with Hug Snug tape.